Gear Head Auto Detailing – Stage 1 & 2 synthetic coatings. Powerful shine & protection. 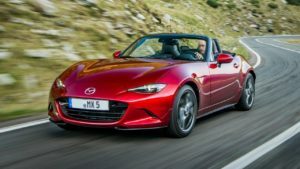 Brian Prescott is offering a 20% discount to Les Bois Miata Club members. Dennis Dillon Mazda will discount accessory parts at 10% and mechanical and body parts at 15%. Just present your current membership card at the Mazda parts counter for your discount. SWISCC – South West Idaho Sports Car Club – TSD (Time X Speed = Distance) rallies for all sports (or other) car drivers and navigators.